The story begins with our heroine Emma Carstairs, who we met in the final book of the Mortal Instruments, City of Heavenly Fire. Clary Fairchild befriends her after seeing her lose both her parents and Emma becomes parabatai with Julian Blackthorn so they can stay together. Julian (or Jules) is Emma’s best friend and in the Mortal Instruments we get a sense that Emma isn’t 100% committed to becoming parabatai with Jules, but does it so that she isn’t sent away from him and the Blackthorns, who’ve become a family to her. This novel contuines with the lives of Emma Carstairs and the Blackthorn family and what became of them. That was me. I completely skipped lunch and nibbled on some biscuits because I could not put this down! In my opinion, you need to have read both The Infernal Devices and The Mortal Instruments before reading this. I know other review’s say you don’t but I really think you miss out on a lot. Not just little references but whole characters and story lines that you don’t know about. I did not read the Tales from the Shadowhunter Academy series and was a bit spoiled so that was a little annoying (my own fault) but I don’t think those novellas or The Bane Chronicles are 100% necessary to read before this. Also my review below is going to contain spoilers but I will try to put the big stuff in a hidden spoiler tag. I really did not know what to expect with this but the writing reminded me a lot more of The Infernal Devices than The Mortal Instruments. This follows the story of Emma Carstairs, who we met in the final book of the Mortal Instruments, City of Heavenly Fire. Clary befriends her after seeing her lose both her parents and Emma becomes parabatai with Julian Blackthorn so they can stay together. Julian (or Jules) is Emma’s best friend and in the Mortal Instruments we get a sense that Emma isn’t 100% committed to becoming parabatai with Jules, but does it so that she isn’t sent away from him and the Blackthorns, who’ve become a family to her. I love Emma! She is the distant relative of Jem Carstairs who makes an appearance, along with Tessa Grey in this! I loved the throwbacks and Emma is nothing like Clary or Tessa. If anything she is a bit like Jase but without the cockiness. She trains extremely hard and is a top Shadowhunter. She is definitely not a brat like Clary could be, or weak like Tessa. You have to really admire how much Emma is will to sacrifice for those she loves. I really love Julian as well. He shoulders so much responsibility, I have no idea how he doesn’t just explode from it all. Emma seems to be his only safe place, the only thing that helps him, but their love is illegal. We find out that parabatai’s are forbidden by Law to never romantically fall in love with each other. If they do fall in love and the Clave finds out the punishment is extremely fierce. For almost all of the book we are not told why that it is a law, until Jem tells Emma what the consequence is. As for the other new characters, I absolutely love Mark who is a half-faerie half-shadowhunter and was taken by The Hunt in the final book of the Mortal Instruments. He almost felt like the main character to me, although I really don’t think he and Emma should ever actually get together. Emma is clearly made for Jules. We find out Mark’s fate in the faerie realm and how the Clave essentially broke their promise to help get him back to the Blackthorns family. I really felt his love with Kieran, even though he betrays him, but I really hope they get their happily-ever-after. I was very confused with his feelings towards Cristina and I really can’t see him being with her at all. I didn’t feel any real spark between them. Sure, they found each other attractive but I think Cristina hesitated to sleep with him because she is still in love with Perfect Diego, and Mark is still in love with Kieran. Tiberius (or Ty) and Livvy were adorable, as were all the Blackthorn kids, but I kind of wish, especially at age fifteen they realised how much of a burden they were placing on Julian. At age fifteen I feel like they could take their own share of the load and do the cooking/cleaning and helping take care of the youngest one (Tavvy), instead of leaving everything for Julian. Every scene with Clary and Jace was so lovely. Even Magnus and Alec showed their pretty little faces at one point and Izzy and Simon were referenced to. Even though I literally just finished the final book of the Mortal Instrument series (so late, I know) this was a nice little nostalgic touch. I also love Cristina and Perfect Diego. They definitely seemed like side-characters and we didn’t get to know them as much as the other new people but I loved how tough Cristina is and her friendship with Emma was very sweet. I really hope we get to see her character grow in the next book. I am not sure if I completely trust Perfect Diego yet, even though Cristina seems to have forgiven him by the end. I think that although Cristina didn’t hear him say anything to his brother, it doesn’t mean that he is innocent. I am curious to see if his brother is going to make an appearance in the next book. And that ending with Kit!! Did not see that one coming and I am really curious as to where his character is going! I can forsee more Jace in the next book! Yay! I know Cassandra Clare gets a lot of hate (whether it’s justified or not is completely your opinion) but one thing I really love about her writing, beyond being a very good storyteller, is that she pushes the boundaries of what is “normal” in her novels. I felt like this when she had Magnus and Alec in the Mortal Instruments enter a relationship. Even if you don’t like her books, you have to admit that the Mortal Instruments is a very popular series that has been turned into both a movie and TV series. Having a prominent gay couple is really cool to see and I love that people embrace these characters. In this novel I thought it was amazing that Cassandra Clare included not only Hispanic characters (Cristina and Perfect Diego are from Mexico), mentioned that (view spoiler), Mark is bixseual, but also that Ty has autism. Clare handled Ty with perfection. He wasn’t stereotyped and he was loved by his entire family for being exactly who he is. Overall this is such a great start to the series. I am curious if this is going to be a trilogy or turn into The Mortal Instruments and have many books. I think Cassandra Clare has grown so much as an author and I really feel like this is already better than the Mortal Instrument series. It’s the perfect blend of everything we know like demons, shadowhunters, warlocks, faeries, parabatai, but with family bonds, crazy action and an epic forbidden romance. In order to develop a secure defense against a hostile alien race’s next attack, government agencies breed child geniuses and train them as soldiers. A brilliant young boy, Andrew “Ender” Wiggin lives with his kind but distant parents, his sadistic brother Peter, and the person he loves more than anyone else, his sister Valentine. Ender’s skills make him a leader in school and respected in the Battle Room, where children play at mock battles in zero gravity. Yet growing up in an artificial community of young soldiers Ender suffers greatly from isolation, rivalry from his peers, pressure from the adult teachers, and an unsettling fear of the alien invaders. His psychological battles include loneliness, fear that he is becoming like the cruel brother he remembers, and fanning the flames of devotion to his beloved sister. I liked this novel a lot more than I thought I would! I was worried it may be over-hyped and it does have some pretty bad reviews on goodreads but I just clicked with it in every way. I loved Ender and all his crazy emotions. He felt real to me…maybe not the age he was suppose to be but a young kid nevertheless. 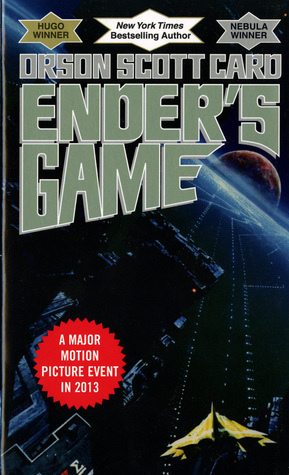 The worldbuilding was spot on, even though I had some trouble picturing the battle stations when Ender first arrived. It wasn’t hard picturing a bunch of kids floating around in zero-gravity but the actual image of the battle rooms themselves was a bit hard to understand. But the game world that Ender played with the giant and wolf/children was awesome. That was probably my favourite part of the whole book which was made even better at the end of the novel (which took me by surprise! and who doesn’t love a good ending?). And yes I admit it is strange how a bunch of six years old are suddenly mega genius’ with no explanation other than that the government ‘made’ them but that never really bothered me until I read other reviews that pointed it out after I was finished reading. 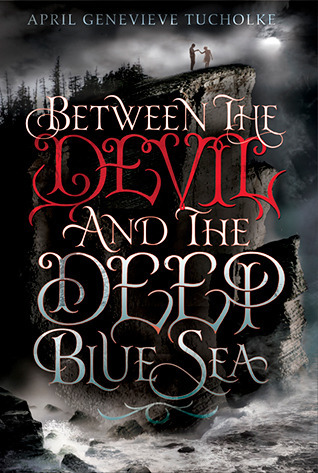 GENRE: Young Adult, Fantasy, Gothic, Paranormal, and Horror. I LOVED this! It was beyond creepy! The characters were all so amazing and well-written. If you like gothic novels this is definitely for you. The build up with Freddie and her stories about the devil completely had me. Violet is one of the best characters I have read in a while. I actually enjoyed that she was a recluse instead of it being a typical cliche “oh woe is me I have no friends” – but with Violet that description made sense to me. Her old Victorian house did too, everything just fit. I also enjoyed the romance – well if you could call it that. Basically I am not sure if Violet even likes River, and visa versa. Was it just the glow? Is River capable of loving someone? He was completely untrustworthy the whole novel and a breathe of fresh air from reading novels with perfect boyfriends who never do anything wrong (or if they do it is for a stupid reason, like they love the main character too much or something). It was a bit frustrating when Violet would touch him even though he was manipulating her – and she knew it. but oh well, she is a teenager. stuff happens. I am verrry curious what happens with (SPOILER) Neely! I feel like Violet and him are destine to fall in love while River is away hunting down his devil-brother and what not. He is like the nice, perfect version of River…we’ll see what happens! !